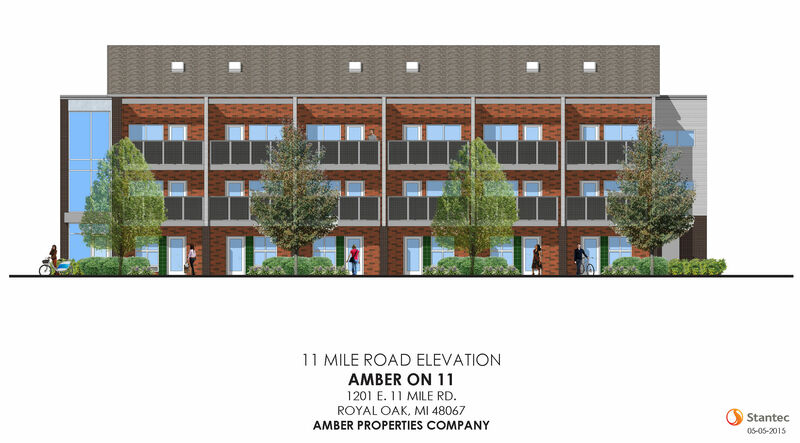 Amber on 11 Mile Studios and Lofts -- a 3-story brick, metal, and glass building at the northeast corner of N. Rembtandt Ave. and E. 11 Mile Rd., Royal Oak. 12 - Private entry Union Square style 0 bedroom studios is on the 1st floor with full bath, patio and polished concrete floors. Approximately 318 sf in area. 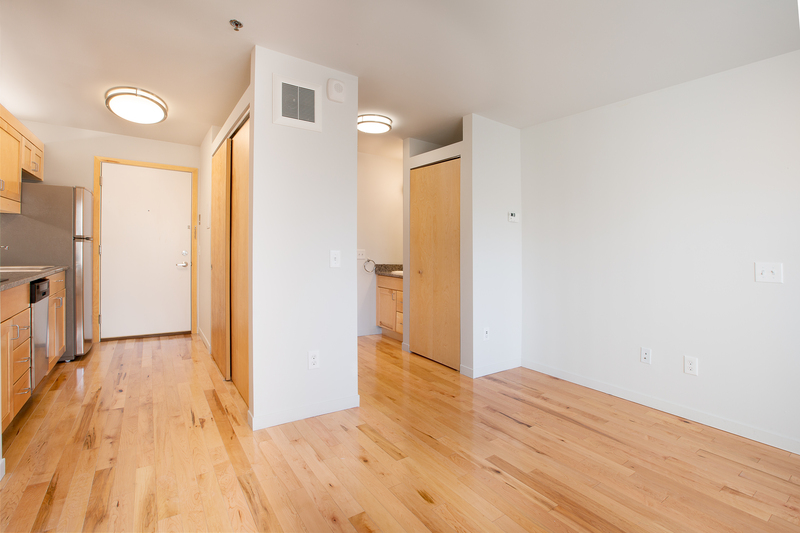 12 - Murray Hill style 0 bedroom studios is on the 2nd floor with hallway entry, full bath, balcony and hardwood floors. 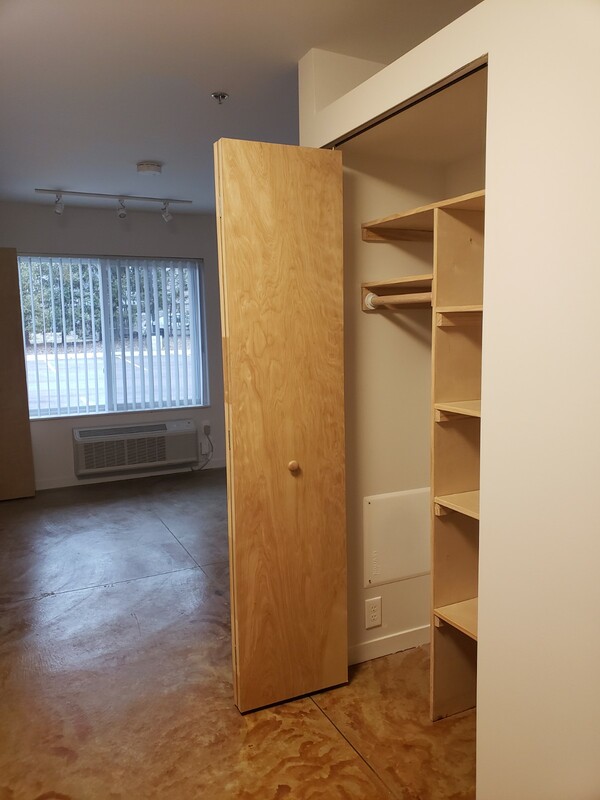 Approximately 280 sf in area. 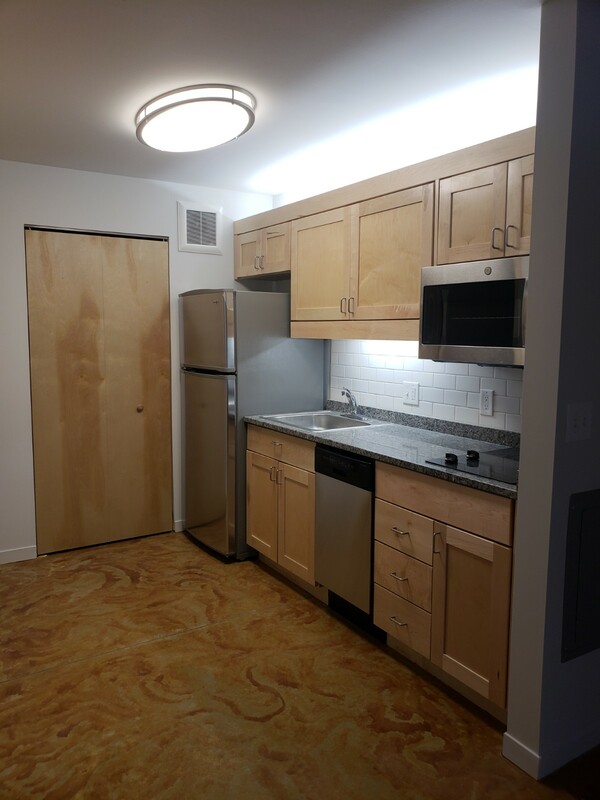 12 - Flat Iron 0 bedroom studio lofts is on the 3rd floor with hallway entry, full bath, balcony and hardwood floors. Approximately 363 sf in area. 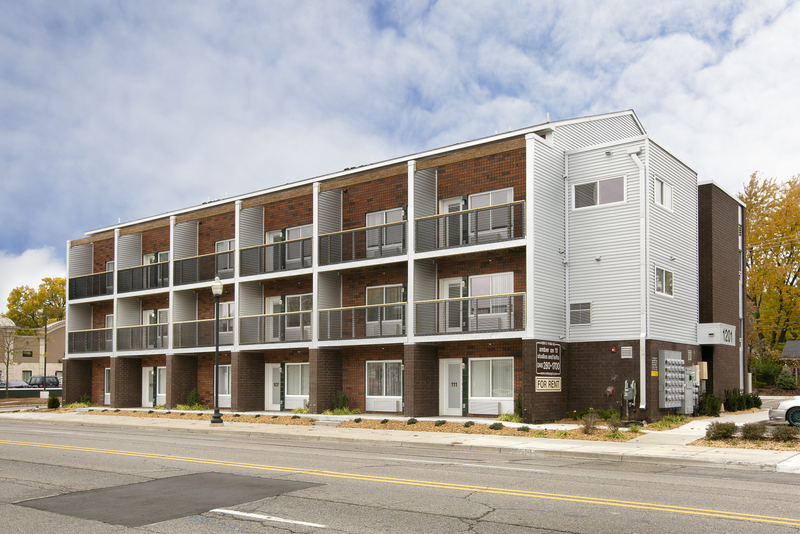 Amber on 11 Studios and Lofts are within walking distance of downtown Royal Oak, Farmers Market, shopping and entertainment; near I-75 and I-696.